Last month, an A.I. startup backed by sometimes A.I. alarmist Elon Musk announced a new artificial intelligence they claimed was too dangerous to release to the public. While “only” a text generator, OpenAI’s GPT2 was reportedly capable of generating text so freakishly humanlike that it could convince people that it was, in fact, written by a real flesh and blood human being. To use GPT2, a user would only have to feed it the start of a document, before the algorithm would take over and complete it in a highly convincing manner. For instance, give it the opening paragraphs of a newspaper story and it would manufacture “quotes” and assorted other details. Such tools are becoming increasingly common in the world of A.I. — and the world of fake news, too. The combination of machine intelligence and, perhaps, the distinctly human unintelligence that allows disinformation to spread could prove a dangerous mix. Fortunately, a new A.I. developed by researchers at MIT, IBM’s Watson A.I. Lab and Harvard University is here to help. And just like a Terminator designed to hunt other Terminators, this one — called GLTR — is uniquely qualified to spot bot impostors. Until now, it’s been relatively easy for humans to pick out writing generated by machines — usually because it is overly formulaic or, in creative writing, makes little to no sense. That’s fast changing, though, and the creators of GLTR think that tools such as this will therefore become more necessary. Similar games of one upmanship — in which A.I. tools are used to spot fakes created by others A.I.s — are taking place across the tech industry. This is particularly true when it comes to fake news. For example, “deepfakes” have caused plenty of alarm with their promise of being able to realistically superimpose one person’s head onto another’s body. To help counter deepfakes, researchers from Germany’s Technical University of Munich have developed an algorithm called XceptionNet that’s designed to quickly spot faked videos posted online. Speaking with Digital Trends last year, one of the brains behind XceptionNet suggested a similar approach involving a possible browser plugin that runs the algorithm continuously in the background. It seems likely that others are working on solutions for spotting the A.I. 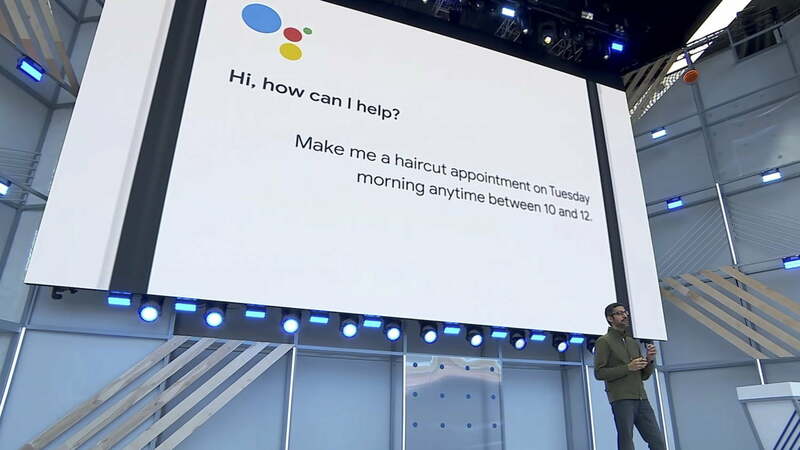 behind other forms of machine-masquerading-as-humans, such as Google’s Duplex voice calling tech or the spate of artificial intelligences capable of accurately mimicking celebrity voices and making them say anything the user wants. This kind of cat-and-mouse game will be of no great shock to anyone who has followed the world of hacking. Hackers spot vulnerabilities in systems and exploit them, then somebody notices and patches the hole, leaving hackers to move onto the next vulnerability. In this case, however, the escalation involves cutting edge artificial intelligence. Now we just have to hope that the good guys can work harder and faster than the bad ones. Unfortunately, if history has taught us anything it’s that there’s guarantee that this will be the case. Keep your fingers crossed that it is!